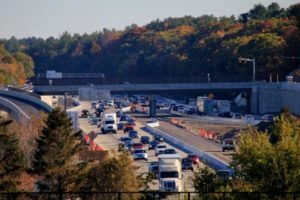 WCVB shares more information on the Route 128/1-95 partial shutdown, which begins Friday night at 8pm. The planned demolition of the Highland Avenue bridge will continue on the North bound and South bound sides until Sunday evening. Drivers, including me, are being asked to allow additional time for their trip during the demolition.